Ed races Ducatis and Moto Guzzis with AHRMA and WSMC. 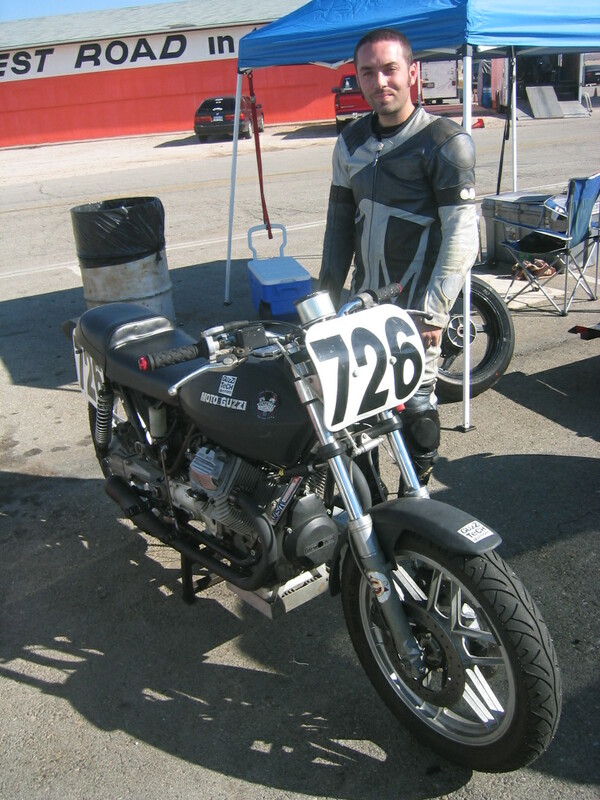 Ed is a multi year and class AHRMA and WSMC champion. 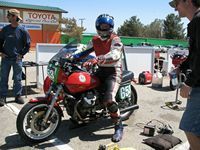 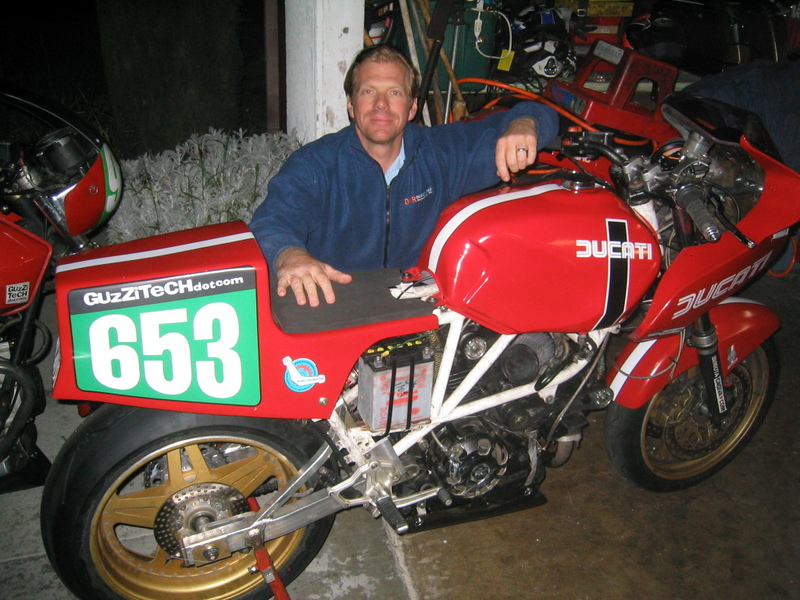 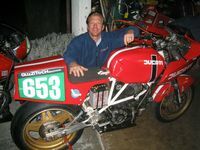 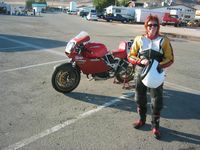 Sean races a Ducati 650 pantah and a Moto Guzzi V65 with AHRMA and WSMC. Rick races a Ducati 650 Pantah and Honda CB 450 and CB 200 with AHRMA and WSMC. 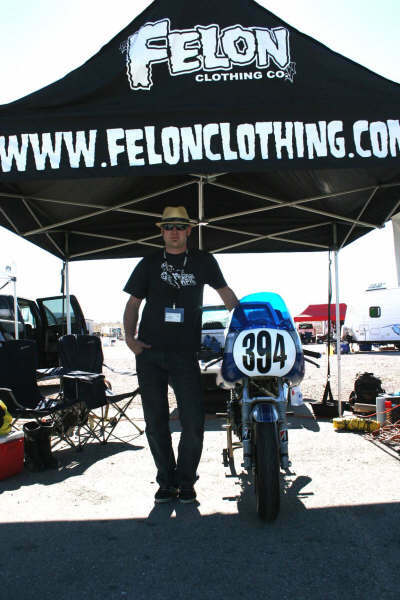 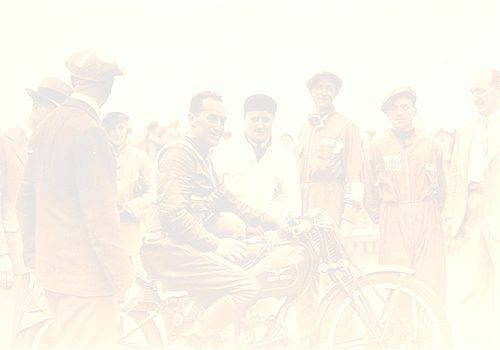 George is a Willow Springs Motorcycle Club Vintage Champion. 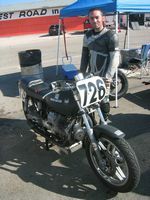 George signed on as a team rider and took his first race win at Wiillow Springs the Guzzipower V65. 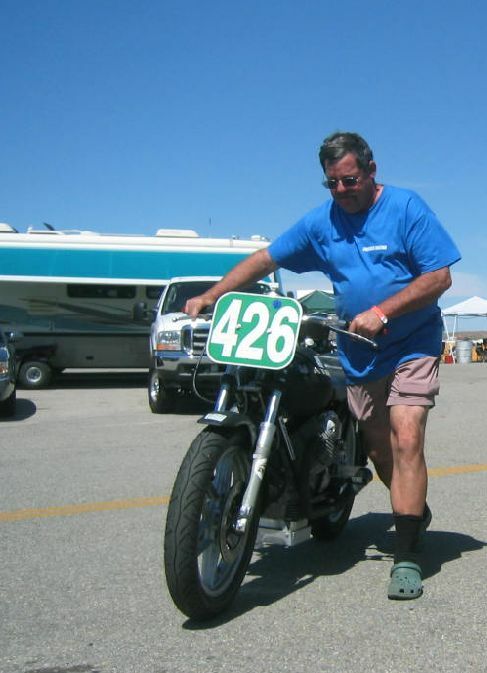 "He ain't the prettiest umbrella girl I've ever seen, but we still love him!"